Burgdorf, Idaho is an old ghost town that has been given the gift of life again by the people who love it. 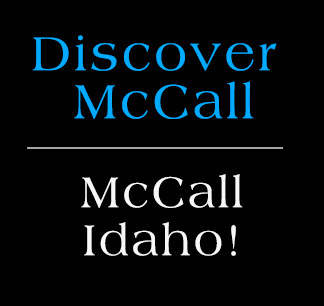 Located about 30 miles north of McCall, Idaho the town dates back to the 1862 when Fred Burgdorf owned it. The highlight of this historic spot is the natural hot spring that draws hundreds of people every year. The large 75×50, 5′ deep natural hot spring has a sandy bottom and log sides. There is also a child’s pool that is slightly cooler and only 2 feet deep. If you’re really adventurous try the “Hot Box” where mineral water exits the earth at a sweltering 113+ degrees. For the Adventurous hike, cross-country ski or snowshoe into “Crystal Peak” an amazing 15 acres of crystal only 2 miles from Burgdorf. Keep your eyes open for elk, moose and bears on the drive in! The hot pools and cabins are open to the public 7 days a week, 365 days a year. During the summer they can be accessed by car via Warren Wagon Road however in the winter access is limited to snow approved vehicles. There is a phone but no electricity. Bring your own bedding, food, cookware, etc. Please call before driving all of the way out there.